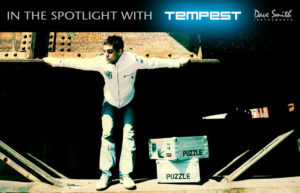 This site is an on going project maintained by Jason Donnelly (DJ Puzzle) a Los Angeles based sound designer and composer with over 15 years in the music production industry. Donnelly recently scored VR game Damaged Core by High Voltage Software for Oculus and scored the short film Progress by Jamal Caesar for HBO and Reform by Jamal Caesar – Blackash Blue Pictures. Songs on Nightwatch, Growing Up Hip Hop, Anthony Bourdain Parts Unknown, Wicked Tuna, Grace and Frankie, Hollywood Medium, Despicable Me 2 menu featurette, OUTRAGEOUS ACTS OF SCIENCE, Royals, Kroll Show, Birthday Boys, Pit Bulls & Parolees, Portlandia, 1600 Penn, Tia and Tamara, Saint Row The Third, Saints Row IV, Animalist News, The Wahlburgers, Shark Week, Lock Up, Duck Dynasty, The Getaway, COMCAST SPORTS, MLBTV, MMA, Auction Hunters, Chasing Classic Cars, TV Guide Network, IFC, E! News Weekly, Triple Rush, Design Squad Nation, 40 Most Shocking Breakups, and 40 Funniest Fails, Discovery, IFC, Comedy Central, NBC, MTV, VH1, PBS Kids, E!, YouTube, Cartoon Network, The Travel Channel, Saturday Night Live, WWE COUNTDOWN, FORMULA D, Golf Channel BIG BREAK PALM BEACHES, SIRIUS XM SATELLITE TV SHOWS, SELLING IT IN THE ATL, BIG BREAK PALM BEACHES, FLEX AND SHANICE, Shoplifters and Proud, (documentary about Britain’s most brazen petty criminals), Fox News, Zoolander (the first one) special edition DVD/Blu-ray extra features featurette, Tom Clancy’s The Division (video game), The Transporter Refueled DVD/Blu-ray menu featurette, MLB 2015 Winter Weekend Recap 2015, WKAR Michigan Off The Record, Now This News, Lost Girl, The Vanilla Ice Project, THE MARILYN DENIS SHOW (Canada), ESPN FC, Xtreme Waterparks, Bazillion Dollar Club, The Verge, Animals Gone Wild, Dark 5. His loops are in several software products including Acoustica Mixcraft, Presonus Studio One, Tracktion 5, Magix Acid Pro, the iThirtyseven iPad app, Retronyms Hook, Soundtrack Loops, Finger Pro, Sound Trends, Sample Logic, Peace Love Productions, and Soundtrack Loops. For news, licensing, and contact information use the contact form a below. Questions about apps or anything related to music production on an iOS device welcomed. You will get a real response from a knowledgeable producer. Use the contact form below. That is what we are here for. Licensing loops, samples, and music for your app is available. 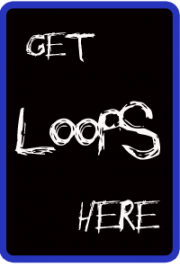 We have over 60,000 loops to choose from. We also do formatting, editing, and promo. Please use the contact form below for a quote. iPad loops specializes in music production and royalty free loops for use with Apple iPad, iPhone, and iPod apps. You will also find the latest in portable and mobile music production apps. App developers please contact me with news, press releases, and advertising needs. I would love to review your work! Soundtrack Loops A comprehensive catalog of royalty free loops for Sony Acid Pro., Ableton Live, and Fruity Loops.